In the previous articles we took a quick look at the various parts of ‘the Cloud‘. We then looked at SaaS using digitalsignage.net as an example, followed by PaaS using Amazon AWS as an example. Today in our final ‘Cloud’ article, we take a look at IaaS (Infrastructure As a Service). (IaaS) is one of the three fundamental service models of cloud computing alongside Platform as a Service (PaaS) and Software as a Service (SaaS) which we have previously looked at. 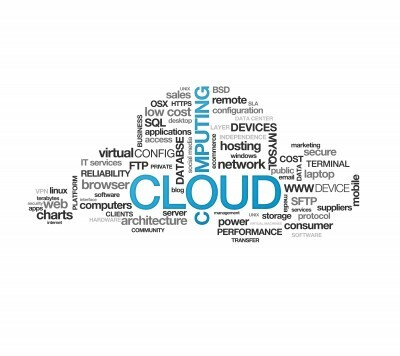 As with all cloud computing services it provides access to computing resource in a virtualised environment, aka “the Cloud”, across a public connection, usually the internet. In the case of IaaS the computing resource provided are specifically that of virtualised hardware, in other words, computing infrastructure. The definition includes such offerings as virtual server space (Amazon EC2), network connections, bandwidth, IP addresses and load balancers (Amazon Elastic load balancer). Physically, the pool of hardware resource is pulled from a multitude of servers and networks usually distributed across one or more data centers, all of which (in our example) Amazon are responsible for maintaining. The client (such as Dynamax), on the other hand, is given access to the virtualised components in order to build their own IT platforms. In common with the other two forms of cloud hosting, IaaS can be utilised to create cost effective and easily scalable IT solutions where the complexities and expenses of managing the underlying hardware are outsourced to the cloud provider. If the scale of a IaaS customer’s operations fluctuate, or they are looking to expand, they can tap into the cloud resource as and when they need it rather than purchase, install and integrate hardware themselves. The service can be accessed on demand and the client only pays for the resource that they actually use. A good analogy is that hundreds of years ago factories often were built near running water so that they could generate their own electricity using a water wheel. This water wheel is analogous to a server room. No one these days generates their own primary electricity supply, its is provided by a Utility Company. SaaS/PaaS/IaaS is very similar. If one server or network switch, for example, were to fail, the broader service would be unaffected due to the remaining multitude of hardware resources and redundancy configurations. For many services if one entire data center were to go offline, nevermind one server, the IaaS service could still run successfully. Data centres such as the ones provided by Amazon provide both massive available bandwidth and attached storage facilities (EBS). This allows for the efficient creation of Content Delivery Networks (CDN) which is an important aspect of scalable digital signage networks. This entry was posted in Digital Signage, Hardware, Software, Uncategorized and tagged cloud based digital signage, cloud computing by hsmith. Bookmark the permalink.